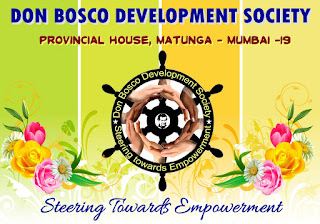 Matunga (Mumbai), 3rd April 2017: The Don Bosco Development Society (DBDS) organized a one day workshop for youth residing in the slums of Mumbai. 50 young boys and girls participated in this workshop. 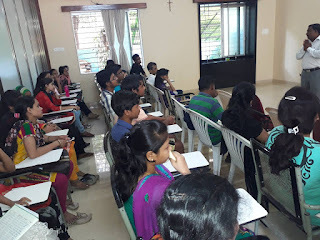 The objective of this workshop was to sensitize the youth on the risks and hazards that exist in the slums due to its locations, high density of population, garbage, presence of domestic small scale industries etc. 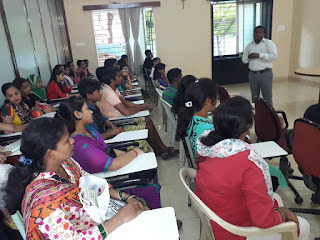 Mr. Sachin Khedekar (Director- Chetana Foundation) was the resource person for this workshop. Mr. Khedekar introduced the topic of disaster citing Mumbai floods of 2005. He explained matters like what is Disaster, type of Disaster, man-made disaster, Natural disaster, emergency services, rescue and relief, etc.